It isn't just a coincidence. 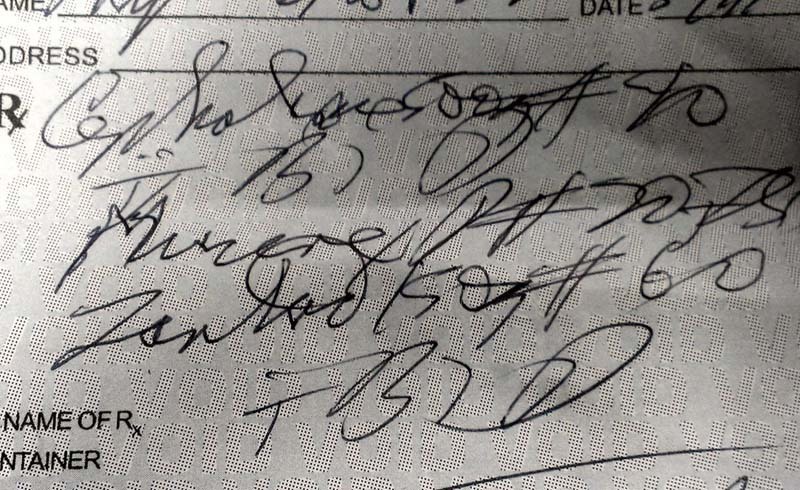 If you’ve ever taken a handwritten prescription from a doctor or looked at the notes from your visit, it seems like no amount of squinting could help the letters get clearer. Bad handwriting almost seems like a requirement for graduating med school. It’s not like only people with bad handwriting are attracted to the medical field. Ruth Brocato, MD, primary care doctor with Mercy Medical Center says she went from winning a penmanship award in grade school to having totally illegible script now. “I know other people have trouble deciphering my notes,” says Dr. Brocato, who adds that she can usually read her own writing. Clearly, doctors haven’t tried this one-minute trick for better handwriting. So what gives? For one thing, doctors have to write more than just about any other job. “In the medical field, if it’s not documented, it didn’t happen,” says Celine Thum, MD, medical director at ParaDocs Worldwide. Anything you talk about behind closed doors needs written evidence for your medical history. Long days plus tons of writing equals a very tired hand. “If you’re writing literally for 10 to 12 hours a day and you’re handwriting, your hand just can’t do it,” says Dr. Brocato. Most doctors’ handwriting gets worse over the course of the day as those small hand muscles get overworked, says Asher Goldstein, MD, pain management doctor with Genesis Pain Centers. If doctors could spend an hour with every patient, they might be able to slow down and give their hands a rest. But the fact is, most physicians are rushing around to the next patient. For instance, one patient might have just 15 minutes to discuss eight medical issues and ask important questions about prescriptions, says Dr. Brocato. 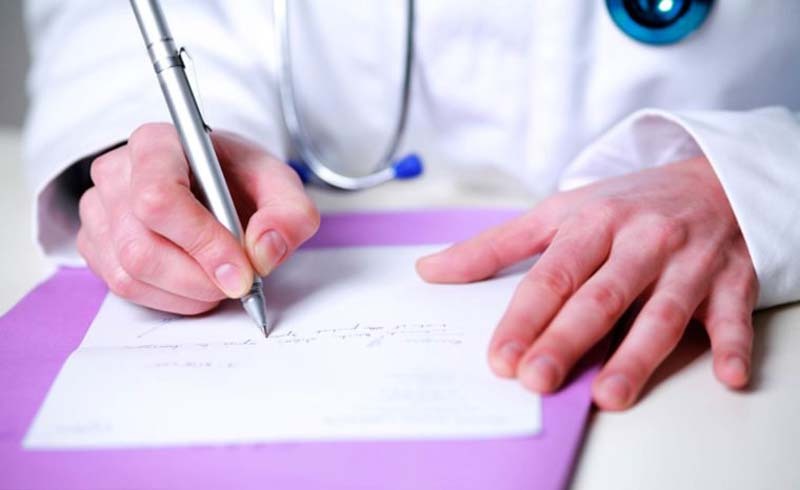 With so many patients to see in a limited time, doctors are more concerned with getting the information down than perfecting their handwriting. The jargon that doctors deal with also lends itself to bad handwriting. Case in point: imagine trying to write “epididymitis” without your computer’s handy spellcheck. “We have so many technical terms that are impossible to write,” says Dr. Thum. “You sometimes scribble to cover the error.” Curious what your handwriting says about you? This handwriting analysis will tell you. Plus, some terms that are totally clear to medical experts might leave you scratching your head. For instance, QD is shorthand for a Latin phrase meaning “one a day” and TID means “three times a day.” Your pharmacist would know exactly what your doctor meant, but you’d probably just write it off as chicken scratch. Dr. Brocato, who now mostly types, says doctors are extra careful when it comes to prescriptions, when a tiny misread could have major consequences. For instance, instead of writing “mg” or “mcg,” doctors were encouraged to write out “milligram” or “microgram.” “If [a dosage] is 100 times what you’re writing, you have to be super careful about that,” she says. Those tiny nuances in sloppy handwriting could be bad news for treatment. A 2006 report found that more than 7,000 people died a year from medical errors caused by illegible handwriting. Now, doctors are moving toward electronic medical records to cut down on lost-in-translation errors. Some states even legally require doctors to send in prescriptions electronically instead of passing over handwritten slips.. No studies have looked into whether the yearly death rate from wrong prescriptions has gone down, but doctors agree there’s less chance for error. “Things are much more legible than they have been in the past,” says Dr. Goldstein. Of course, typing everything isn’t perfect either. There’s still the possibility of entering, say, 30 instead of 300, and the process is slower than just scrawling out a prescription. While we’re all for electronic medical records, we’ll write by hand whenever we can. Now, learn about these secrets hospitals don’t want to tell you—but every patient should know.